In this current generation nobody wants to be kept waiting before getting things done or discovering the thrilling part of an event or shared media. This must have been the reason why Facebook has decided to roll out a feature that allow users skip to the exciting parts or the most important parts of live videos instead of waiting too long. According to Facebook, the engagement graph for Facebook live Videos will allow viewers to skip all the non-interesting part of the video as well as getting “right to what tends to be the most exciting or engaging points of the video”. This engagement graph will come up the moment you start watching a previously live video. 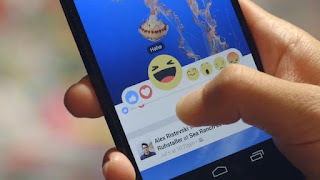 In addition to this, Facebook will also introduce replaying reactions while watching a previously live video. This replaying reactions feature will let you see people’s reactions and comments while they were watching the Live Video. With this new feature, don’t be surprised when you see the profile picture of a friend pop-up in the course of the replay, particularly if they’ve made some recorded reactions while watching the live video on Facebook. So, whenever, you want to watch a previously live video on Facebook, just watch out for the engagement graph that will highlight the points of interest and save you the time and stress of getting bored with the non-interesting parts.